We sell to anyone wether a homeowner or Contractor. You have the ability to pick up products you need in your pick up, dumptruck, or trailer. You can also call upon us to deliver for you. There is NO job too big or too small or too near or far!! We deliver anywhere you need as long as it’s safe. Give us a call for price quotes on any type of job. We also rent out trucks @ an hourly rate for haul off jobs, call for your estimate today! 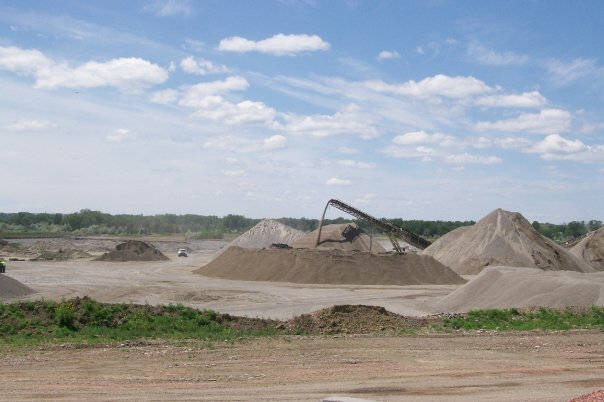 We also offer portable crushing services throughout the United States. Contact Ray Halsey 406-860-4014 for more details. 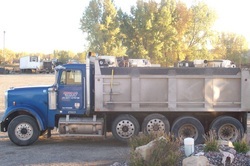 We are a Sand and Gravel company located at 3530 Coulson Rd in Lockwood. Doing business since 2004. 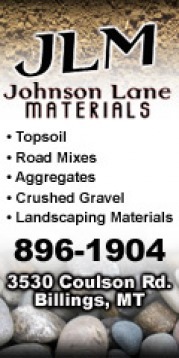 We specialize in all types of Road Base, Sand, Crushed Rock, Top Soil, Round Rocks and Imported Landscape Materials. We have 18 Bins of Specialty Imported Landscape Rocks in various sizes and colors. We also have River Rock and Large Landscape Rocks available. We currently have a crusher and wash plant onsite and are available for portable crushing. You can pick up what you need or we are available for deliveries. Whether you are a homeowner or contractor, we can help fit your needs. We currently have End Dumps, Pups, and Side dumps for our trucking fleet. Click here to view pictures of the different types of rock and sizes.